On the last blog post, we discussed the various thread colors and styles for monograms and buttons you could choose for your tailor made dress shirt. On this blog post, we'll examine a couple more ways to customize your shirt - placket type and contrasting color choices. Firstly, what is a placket? If you look in the mirror, the strip of fabric down the front of your shirt where the buttons are - that’s called the placket - and it comes in 3 different types - standard, french (also called “seamless”), and fly front (also called “covered”). This is the most common placket choice, and is typically the default if you don’t request anything different. It’s a solid choice for business/office settings, and also works well for most occasions. Known more as a European type of look, the French placket is considered plain yet classic, and is a good choice for a casual event. This look contains a bit of fabric to cover the buttons so they aren’t seen at all. This is a great choice for those wishing to stand out from the crowd a bit, and is also a good choice for a tuxedo shirt if you’re skipping the studs. One of the other ways to customize your tailor made shirt is to have contrasting colors somewhere on the shirt. 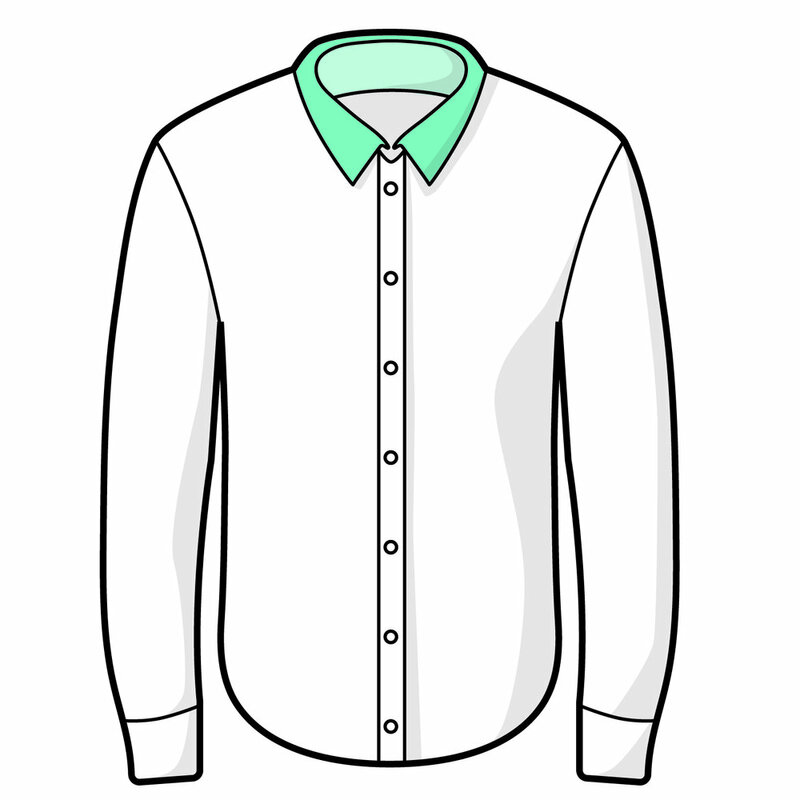 There are many ways to do this, but the most common ways are to get contrasting colors on the inner or outer collar, chest pocket, sleeves or cuffs, or finally on the shirt placket. Want to learn even more about how to customize tailor made clothes? Submit your email address below and receive a FREE 30-page Tailoring Guide.